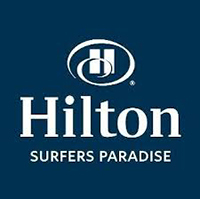 In 2010, Hilton Surfers Paradise engaged PC Corporate to design uniforms for our new property on the Gold Coast. We had very particular requirements in the look and feel that we wanted to achieve, which incorporated a resort style whilst catering to our business clientele. PC Corporate interpreted the brief to the last detail and achieved a positive design outcome that was liked by all of our stakeholders. Their commitment to service and ensuring timelines were met allowed us to open our hotel on time with a fresh and vibrant new look for the Gold Coast. The PC Corporate team have an engaging and flexible approach. I would not hesitate to use PC Corporate again in the future and would be happy to recommend them to other organisations.